Home / News / Ambassador Khojesta Fana Ebrahimkhel attended the New Year Reception hosted by H.E. Alexander Van der Bellen the Federal President of the Republic of Austria in honor of the head of Diplomatic Missions in Vienna. Ambassador Khojesta Fana Ebrahimkhel attended the New Year Reception hosted by H.E. 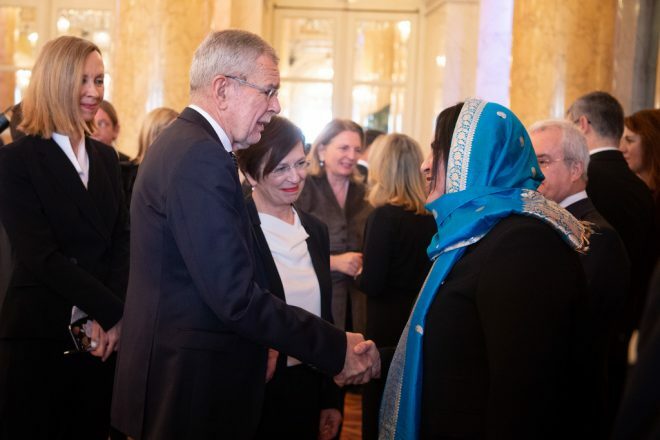 Alexander Van der Bellen the Federal President of the Republic of Austria in honor of the head of Diplomatic Missions in Vienna.